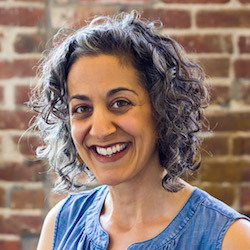 Nashira designs and coordinates Health Equity Awakened, HIP’s national capacity-building leadership institute for individuals working on health equity in local health departments. She has spent the last 17 years in public health, specifically on advancing racial justice practices within public health organizations. 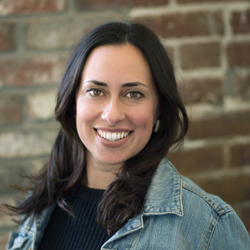 A New England native, Nashira lives with her husband and daughter in Boston, Massachusetts where she hopes to open a freestanding birth center one day. Sari leads the organizing and advocacy work at HIP and coordinates Public Health Awakened, a network of public health professionals organizing to support social justice movements and resist attacks on our communities. She is passionate about mobilizing people around the issues most important to them and bringing a social justice and equity lens into all spaces. Sari grew up in the Bay Area and was raised on activism. When not at a protest or organizing meeting, she can be found swimming in cold bodies of water or escaping to the woods. 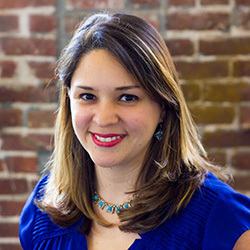 Lili co-directs HIP with Jonathan, and is responsible for advancing the mission and strategic direction of the organization. For nearly 20 years, she has visioned, developed, and implemented policy and systems change to advance health equity in the government and nonprofit sectors, and she’s feeling energized by people’s willingness to talk about race, power and the other root drivers of health. These days, Lili spends a lot of time thinking about and developing novel approaches to activate public health around social justice issues and getting the field more aligned with community organizers and advocates. 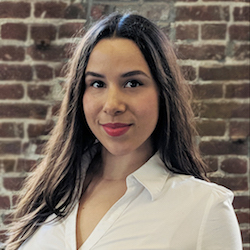 Originally from New York, Lili now lives in Oakland and is kept on her toes by her two little kids and an unhealthy obsession with good TV and the Golden State Warriors. Megan coordinates HIP’s Health Equity Guide, a web resource to support health departments advancing health equity. She also manages a project to build community power and influence with housing justice organizers and public health departments. Through her work with public health departments and advocates over the past 20 years, she has seen how intentionally leading with the voices of those most impacted by inequities changes the vision of what is needed and plan of how to get there. Megan is delighted to support HIP projects that nurture individual and organizational transformation through organizing and capacity building. 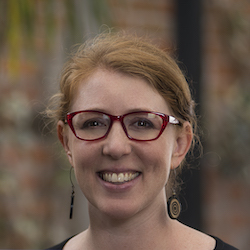 Originally from New Hampshire, Megan lives in culturally vibrant Mexico City, where she tries to cultivate curiosity, gratitude, and a love of making crafts, cookies, and community with her two daughters and partner. Logan works with HIP’s community partners to conduct research that advances policy change for racial and economic justice. 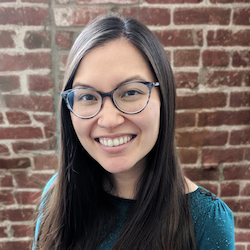 She likes crunching data and making maps, and believes that health equity research should be rooted in an understanding of historical context. 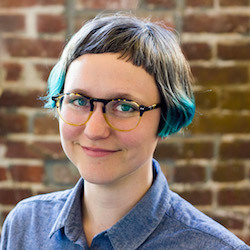 Outside of work Logan spends time riding her bike around Oakland, knitting sweaters for other people’s babies, and occasionally DJing at a local community radio station. 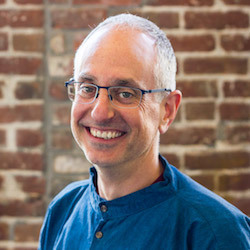 Jonathan co-founded HIP and co-directs the organization with Lili, setting its strategic direction and advancing its mission. He’s dedicated to advancing health equity by addressing the main causes of inequities – social, economic, and environmental policies — as well as the causes of inequities in those policies — power imbalances and racism and other forms of oppression. He’s thrilled to see public health starting to engage more deeply in social justice work these days. When he’s not at HIP, Jonathan is likely hanging out with his wife, 2 kids, and/or dog, supporting social justice in other ways, or doing all of those things together. Martha supports the research needs of community partners across the country that are advancing equity and justice. 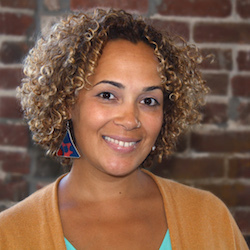 She brings her background in local and state policymaking, community organizing, and advocacy to her work at HIP. She is always excited to brainstorm upstream solutions to create access to housing, health, and education for all. Martha lives in Oakland, and was born and raised in Minneapolis. She loves a good book, spending time with friends and family, and walking around the lake. Amber leads HIP’s Health Instead of Punishment Program. She believes it’s urgently necessary to shift public resources towards healing and harm reduction instead of furthering criminalization and trauma. Her commitment to taking action in solidarity with those who have been most impacted by mass incarceration and police violence guides the program’s work. Amber grew up in Reseda, California, and currently lives in Oakland. When she’s not fighting for social justice, she can be found dancing, practicing yoga, hiking, or playing with the nearest dog. Sukh conducts and elevates rigorous research to advance health equity, with a commitment to true community collaboration. Sukh is especially passionate about addressing racial and economic injustices impacting youth and families — she believes that research is a powerful mechanism to advance change. Sukh is native to the Bay Area. For fun, she enjoys progressing on her bucket list, baking desserts, photography, and traveling with her husband. Yeri was raised in the East Bay, and she’s found a renewed appreciation for its weather and diversity while she was attending graduate school outside California. She enjoys geeky hobbies such as reading, playing board games, and searching for great coffee spots. 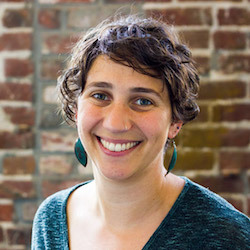 Sophie works on organizing and advocacy at HIP and helps coordinate Public Health Awakened. She is passionately dedicated to building the organizing and advocacy power of public health workers across the country and to bridging health justice work with other social justice movements. She believes that all justice and equity work is ultimately about community health, and that all community health work should be rooted in justice and equity. With a “past life” in radio production and oral history recording, Sophie is particularly passionate about harnessing the power of self-determined community storytelling. Proudly born and raised in the Bay Area, Sophie has family roots from the Southwest to the Midwest to Puerto Rico. Besides all of the above, Sophie finds joy in dancing, hiking, running, and catching up with family and friends far and wide. Ana leads communications strategy at HIP, to share our organizational story with the world and to ensure our products and resources reach and activate our stakeholders. She’s passionate about using plain language and inclusive storytelling to advance racial justice and health equity. 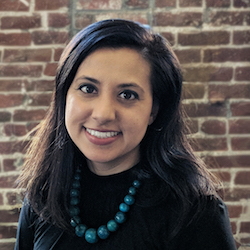 Ana is originally from Mexico City, with a Midwest twist — she now lives and plays in Berkeley with her husband and 2 kids. She’s kind of a culture vulture for TV, movies, and RuPaul’s Drag Race. 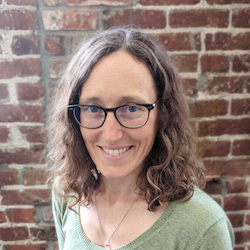 Shannon oversees organizational development, human resources, and finance for HIP, to support the health of staff and the organization overall. She brings nearly two decades of experience working throughout California as a grassroots organizer, coalition builder, fundraiser, and communicator. 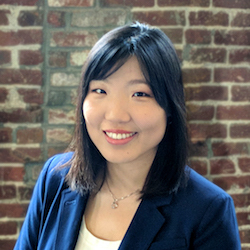 She is passionate about advancing justice and sustainability in the world through internal systems and practices that reflect HIP’s values and commitment to equity. Shannon lives with her husband and 2 daughters in Oakland, except when they’re camping, or visiting family in New England or Germany. She loves sharing her favorite things about California with her family: mountains, year-round outdoor swimming, avocados, and activism.